To celebrate the arrival of spring, Jonee, our aesthetician, is offering a wonderful special. For the remainder of March and all of April, any of our patients who undergo a cosmetic procedure will be able to obtain a facial from Jonee for 40% off Jonee’s regular prices. 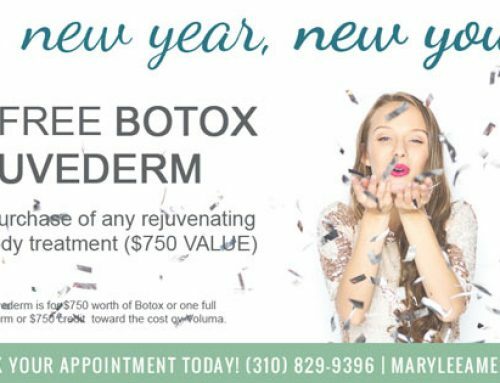 This means that anyone who has a Botox, Juvederm, Restylane, or Collagen treatment or a laser procedure can treat themselves to one of Jonee’s facials at these special reduced prices. With Jonee’s special, for as little as $45 any of our patients can follow-up their cosmetic procedure with a very enjoyable and relaxing facial. This is also an exceptional opportunity to experience the amazing Ameriantronic Rejuvenator at a significantly discounted price. 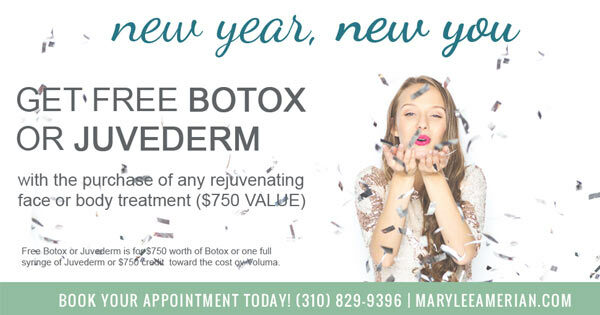 We hope all of our patients will take advantage of this special opportunity and visit our darling Jonee. When she finishes your facial, your skin will glow! What is a cosmeceutical? Cosmeceuticals are skin care products that contain ingredients that influence the physiological functioning of the skin. When a cosmeceutical is applied to the skin, the biologically active ingredients within the cosmeceutical are absorbed into the skin, resulting in improved skin appearance. The most commonly used active ingredients in cosmeceuticals are vitamins, herbs, plant extracts (which are referred to as botanicals), and oils. Regardless of what other facial rejuvenation techniques are used, everyone should have a good cosmeceutical regimen to treat, nourish, protect, and moisturize his or her skin. The cosmeceutical market has grown rapidly over the past few years as the baby boom generation has gotten older. This growth has led to the introduction of literally thousands of different skin care products. Many of our patients have become confused regarding how the different active ingredients in cosmeceuticals help the skin. In order to better educate our patients about cosmeceuticals, the paragraphs that follow will review the most common ingredients that are used in today’s cosmeceuticals and how they help the skin look better and more refreshed. Retinoids – Retinoids are derivatives of vitamin A and are the most common type of cosmeceutical used today. In the skin, retinoids act as antioxidants and they neutralize the free radicals that result from exposure to ultraviolet light. In addition, retinoids increase cellular turnover, stimulate a beneficial thickening of the epidermis, and promote the removal of excessive skin pigment. The use of retinoids leads to the deposition of new collagen in the skin. As a result of these actions, retinoids are known to reduce wrinkles, decrease skin laxity, improve skin color, and produce a smoother skin surface. Tretinoin (retinoic acid, Retin A, Renova) and tazarotene (Tazorac, Avage) are two of the most commonly used retinoids. Skin care products that contain either of these two ingredients are available by prescription. Retinol is another frequently used retinoid. It is chemically identical to Vitamin A. Because it is a naturally occurring vitamin, skin care products that contain Retinol do not require a prescription and are available over-the-counter. Hydroxy acids – Hydroxy acids are another very commonly used active ingredient in cosmeceuticals. They are classified as either alpha hydroxy acids (AHAs) or beta hydroxy acids (BHAs) depending on their molecular structure. Commonly used alpha hydroxy acids are glycolic acid, citric acid, and lactic acid; the most commonly used BHA is salicylic acid. The AHAs used in cosmeceuticals have been shown to produce younger looking skin. Cellular turnover is increased, and the skin appears smoother and more uniform in color. Salicylic acid is used as a skin conditioner and is especially useful in patients with oily skin and acne. It is considered to be one of the most effective acne treatments. Salicylic acid would be of particular benefit to individuals who have both aging skin and acne. Antioxidants – Although it may seem obvious, an antioxidant is a chemical that prevents living tissues from becoming “oxidized” and undergoing a chemical change. In the body, highly reactive substances called free radicals are constantly being produced. Free radicals can quickly damage the body’s own cells. In living tissues, antioxidants remove free radicals before they can damage normal tissues. From the dermatology perspective, exposure to ultraviolet radiation from the sun and other sources will result in the production of free radicals. Several studies have suggested that antioxidants help protect the skin from the damaging effects of the free radicals that result from exposure to ultraviolet light. The most common antioxidants that are used in cosmeceuticals are Vitamin C, Vitamin E, Panthenol, Lipoic Acid, Ubiquinone, and Niacinamide. Depigmenting Agents – Depigmenting agents are skin-lightening ingredients. They remove excessive melanin pigment from the skin. A depigmenting agent works best on “epidermal melanin,” which is melanin in the top layers of the skin. When the excessive melanin is located deeper in the skin in the dermal layer, a depigmenting agent may not be as effective. Hydroquinone is the most commonly used depigmenting agent; it works by decreasing the production of melanin pigment. Some physicians also add tretinoin (retinoic acid) and a steroid to the hydroquinone. The tretinoin acts by increasing cellular turnover, resulting in a quicker response to treatment, and the steroid acts by reducing inflammation in the skin. Tri-Luma cream conveniently combines hydroquinone, tretinoin, and a steroid in one medication, and is available by prescription. Other compounds that are used for skin lightening include azelaic acid, kojic acid, and peels containing alpha hydroxy acids such as glycolic acid. Botanicals – With the modern trend toward the use of more natural ingredients, botanicals have become a component of nearly every cosmeceutical product available and form the largest category of active ingredients used today. An appropriate botanical can be chosen to reduce inflammation, sooth the skin, or act as an antioxidant. Some of the most commonly used botanicals are prickly pear and aloe vera (for skin soothing), ginkgo biloba, willow herb, and green tea (anti-inflammatory), and goji berry and soy (antioxidants). Peptides – A peptide can be thought of as a small part of a much larger protein molecule. Peptides were developed for use in skin care to either increase the production of collagen or to reduce the breakdown of collagen. This is important because loss of collagen in the skin is one of the causes of wrinkles. One of the best known peptides used in cosmeceuticals today is referred to as a “pentapeptide.” This peptide is actually a small fragment of the protein that makes up human collagen. This “pentapeptide” has been shown to increase collagen production. Matrix Metalloproteinase Inhibitors (MMPIs) – Matrix metalloproteinases are proteins found in the skin that break down collagen. They are activated by exposure to ultraviolet light as well as by exposure to air pollution, smoking, and the natural aging process. There are two ways to block the activity of matrix metalloproteinases, and in so doing, help to preserve the skin’s collagen. The first is with a good sunscreen that protects against ultraviolet light. The second is with substances that actually block the activity of the matrix metalloproteinases; these substances are referred to as matrix metalloproteinase inhibitors (MMPIs). Substances that act as MMPIs include derivatives of green tea, tretinoin (retinoic acid), beta-carotene, vitamin E, vitamin C, and flavonoids. The use of MMPIs in cosmeceuticals is one of the newest and most exciting innovations in skin care, and MMPIs are expected to receive much more attention in the near future. Cosmeceuticals are formulated and available for purchase from a large number of manufacturers, and their use has become a standard component of modern skin care. Because there are literally thousands of skin care products in the marketplace from which to choose, it can be quite confusing as to which products are best for a particular person. For this reason, it is ideal for each patient to have his or her skin care program designed by a skin care expert. These professionals are able to select from the large number of available products those products that are best for an individual person. We recently completed filming our third season of work for the television show “10 Years Younger.” Episodes that we participated in will air on The Learning Channel (TLC) on Friday March 21st, Monday March 31st, and Friday April 4th at 1:00 PM. If you have not yet watched the show, the patients on the show undergo a series of non-surgical treatments and enhancements designed to optimize their appearance and help them to look “10 Years Younger.” Doing the show has been a lot of fun. After watching a few episodes, viewers are able to see all of the non-surgical facial rejuvenation techniques that are currently available. If you have the time, try to tune in and enjoy the show. Thanks to modern technology, we have also posted clips of our appearances from earlier seasons of the show on our website where they are available for viewing. The clips are a good source of information about the various lasers, fillers, and other treatments that are utilized in modern non-surgical facial rejuvenation.